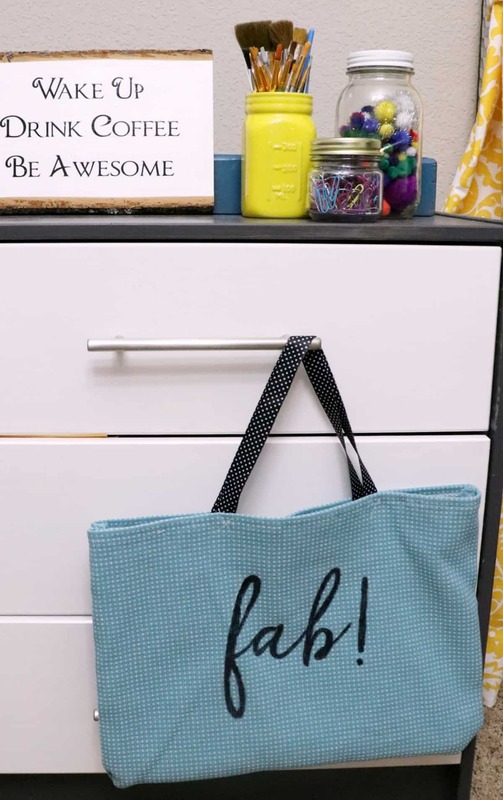 Who doesn’t love a cute tote bag, I know I do and so do my kids. 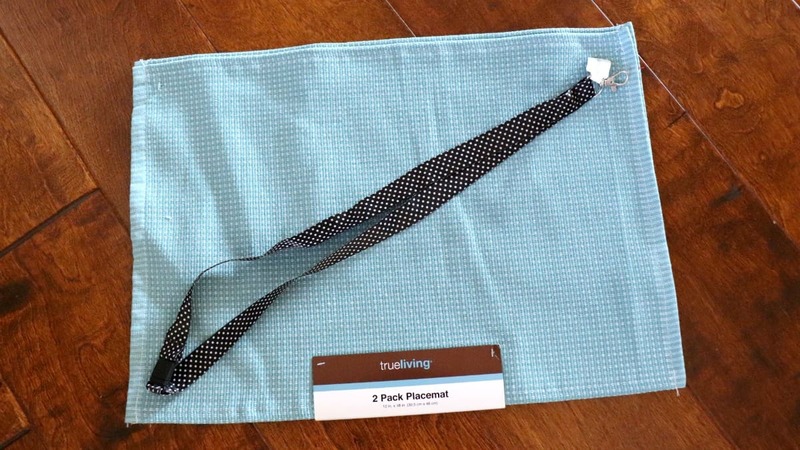 I headed to the Dollar Store recently and grabbed a few supplies to make this placemat bag. I intended to use it for my own purposes but as soon as my little one saw it she claimed it as her own. I don’t blame her, it’s really cute. I know I will be making a few more of these in the near future. Watch how easy these are to make then check out a few more Dollar Store accessories you can make from some of my favorite bloggers. I was walking through the Dollar Store, there to pick up a few necessities, when I spotted a set of placemats near some summer tote bags. Inspiration struck and I knew I wanted to make my own tote bag. I walked a few more aisles and found some cute lanyards that would make the perfect handles. With just these 2 supplies I headed home to make an easy placemat bag. First, I sewed the placemats right sides together around 3 sides then turned the bag inside out to add the handels. Next, I cut the clips off the lanyard to make 2 equal pieces of ribbon for the placemat bag. Then I sewed the ribbon to the bag using an X pattern for a secure hold. Finally, to decorate the bag I cut a cardstock stencil and used a Sharpie to trace the letters, filling them in for a bold and fun look. 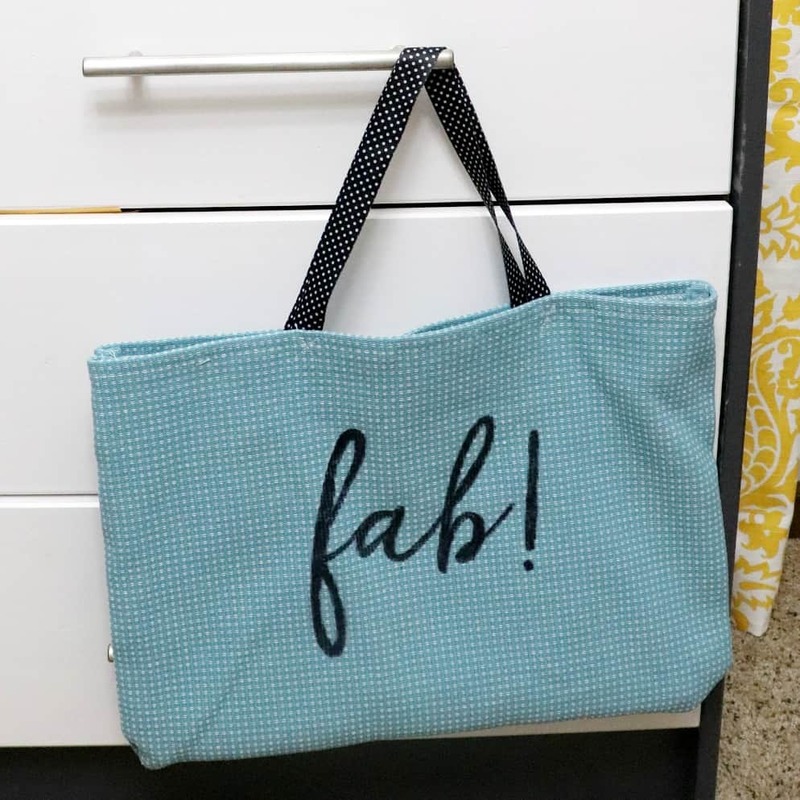 I fully intended to use the placemat bag to tote around my laptop and planner when I work outside my office, but it was quickly snatched up by my 4 year old. She made it her official t-ball bag and she is sporting it proudly. I will be headed back to the Dollar Store for 2 more placemats and a lanyard. The color combinations on this placemat bag are endless, I can go with patterned placemats and fun handles and customize the words however I want. I see fun projects ahead. Ready for more Dollar Store accessories? 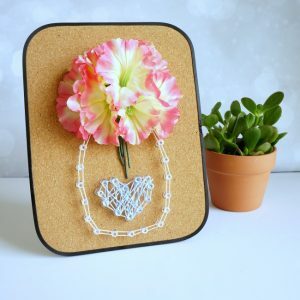 Be sure to check out these fun projects. I’d love to hear about your most recent Dollar Store project. Great tote bag idea. If you left the key hook on the lanyard, it would be handy to attach key or even phone case. I will be making some myself. Thank you. That’s a great idea, I’ll have to try that on my next bag. Beats digging for keys at the bottom of a bag! Super simple, but lots of fun. Well done! what a fun idea – I have gotten some cute stuff to actually decorate the table from the dollar store, but this twist is fun!